Recently being made redundant has allowed me to follow a different path and concentrate on my real love – dogs. I have had dogs all of my life, many different breeds - toy poodle, English Bulldog, Pyrenean Mountain Dog, cross breeds, German Shepherds and Lurchers – I can only once remember being without a dog for about 3 months and the house was quiet and empty! I have had rescue dogs with 'issues' and also puppies. Animals have always played a big part in my life and over the years I have cared for various other animals from cats to gerbils, rats & spiney mice to chinchillas, chipmunks, cockatiels, guinea pigs and rabbits - even milked cows in my youth! 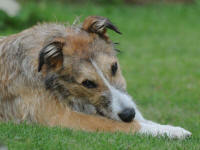 I currently own four dogs, two German Shepherds and two Lurchers, ranging from a puppy to 12 years old. 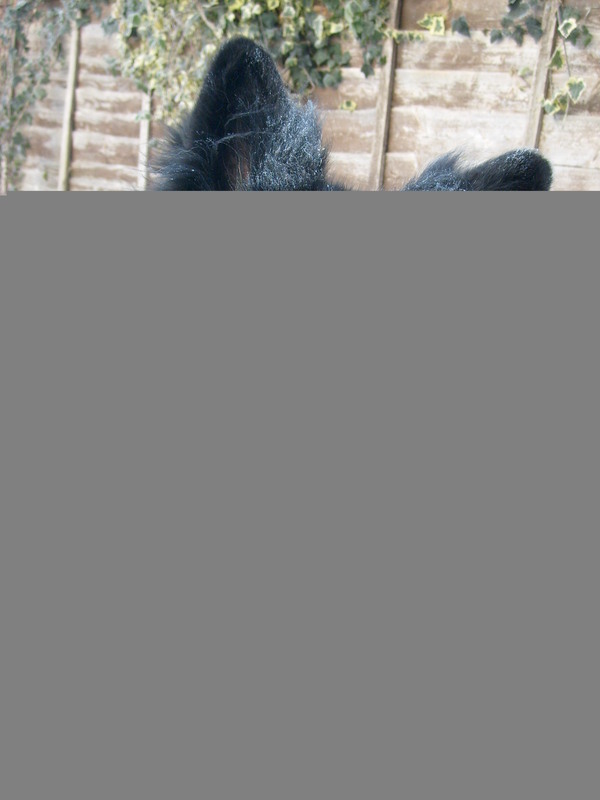 The puppy lurcher – 'my little donkey' grows every night! I am hoping he will be able to compete in Agility but so far he prefers to sit and watch everything very carefully. 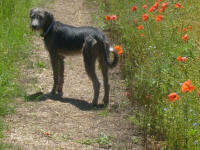 My first Lurcher, I took a friend with me when I collected him – he was the last one of a litter of ten . When I asked why he was left the breeder said – he is a boy and he is not pretty! I love him to bits – so much fun, ears and legs all over the place. My German Shepherd, I just adore this breed, they are so intelligent, loyal, loving and just know your every thought even before you do yourself sometimes. Rudi has been trained for scent work, competed in obedience and achieved grade 6 in Agility – a good level for a big dog like him. Loves puppies and small dogs! 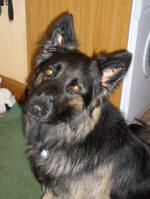 Phoenix was rehomed at 6 months old because the owners couldn't cope with her. She has been a difficult dog to say the least but has mellowed over the years – this dog lets nothing pass her by – she lives life to the full and lets nobody get in her way! I have been involved in training obedience and agility, both for fun and for competition I have also trained dogs to be able to take the Kennel Club Good Citizens test. For the last 20 years I have competed at a high level in Working trials, obedience and agility. I believe that every dog is individual and requires different needs. I am a good listener and will adapt to whatever is required by the owner. I am honest, reliable and have a deep love of all animals (except spiders!) and will care for your pet as you would yourself. Should you have any requirements or questions please do not hesitate to contact me.